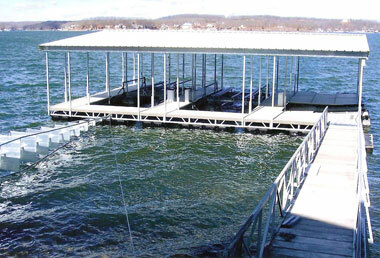 Add a new deck or dock to your property with help from our dock construction specialists in Osage Beach, Missouri. Trico Dock Center offers all-in-one dock repair, installation, and maintenance services. To get started on your next project, contact us today to consult with one of our helpful contractors. At Trico Dock Center, we specialize in designing and installing docks and decks for residential properties throughout Lake of the Ozarks. 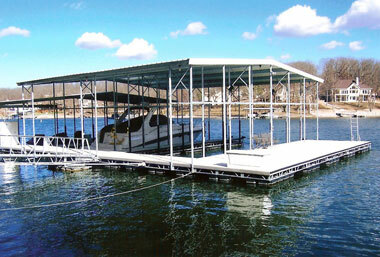 With our docks in place, you will have easy access to your boat at all times. Our custom decks will also add an extra special touch to your backyard decor. Our team is 100% committed to the safety and the satisfaction of our customers. We have the knowledge and the experience to safely operate all the necessary construction equipment for any deck or dock construction projects. Our knowledgeable craftsmen offer innovative solutions to fit your custom deck or dock construction requirements. You can count on us to design beautiful and functional structures that will provide you with many years of enjoyment. We offer free estimates and guarantee all of our work. We offer all types of lifts, ladders, seawalls, aluminum, and composite decking.